Adding "weight" to the products is needed when Shopify shipping rates are set based on weight. Go to Oberlo > Settings, mark the checkbox "Set unit of measurement for product weight" and select the type of weight measurement, such as "Kg". 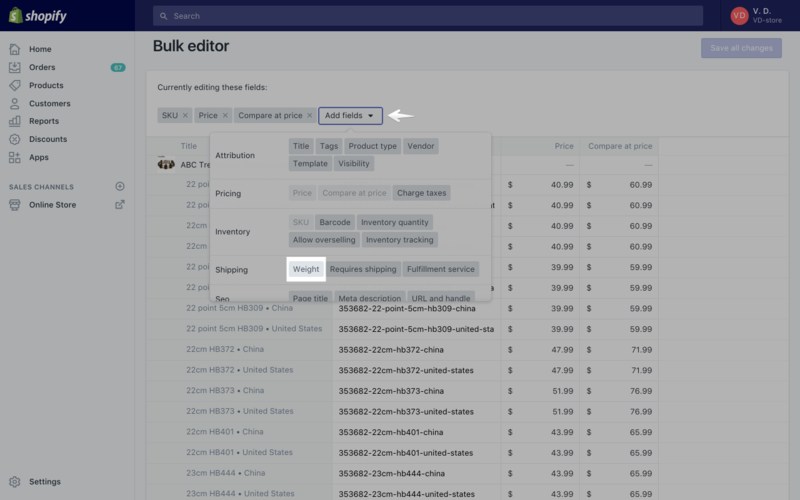 Then, you will be able to change the weight when importing products in Oberlo > Import List > Variants tab. 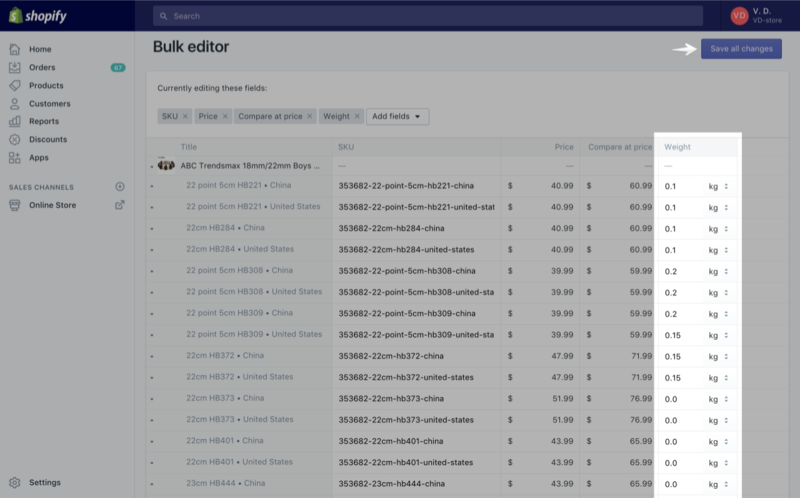 You can also edit the weight of your products in bulk directly in Shopify. Go to the "Products" page, select the desired products and click on "Edit Products" button. On the "Bulk Editor" page, create another field called "Weight". After this, you will be able to set the weight for your products in bulk. Once done, do not forget to save any changes by clicking the purple "Save All Changes" button in the top-right corner of the screen.